In times of division, the college campus can be a place of coming together, and when understanding is lacking, it can represent a place of enlightenment and compassion. Some of those very best qualities are at the heart of the student experience, and increasingly, as campuses look to include more diverse voices and the wider inclusion of more communities, they’re also looking to connect to deeper partnerships with the kinds of resources that support those initiatives. 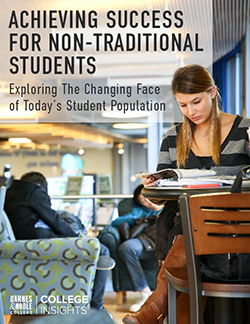 One campus where that thinking is particularly prevalent is at the University of Maryland. 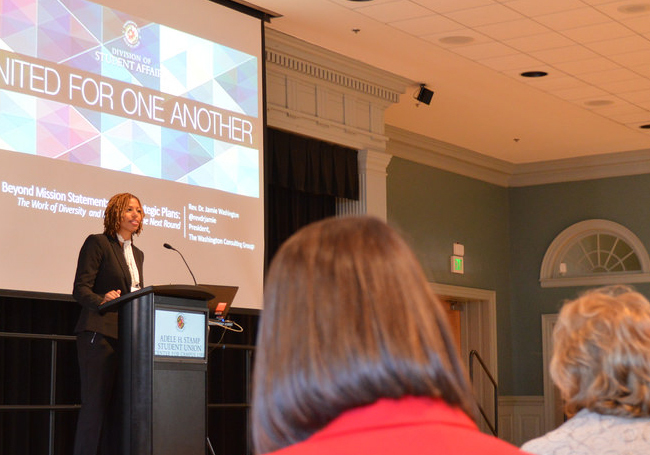 The institution’s Student Affairs office began the year by hosting its 41st Maryland Student Affairs Conference with the theme, “United for One Another,” in an effort to encompass the unity of the student affairs community, and the diversity of its members who encourage and uplift one another. Roz Moore, Class of ’95, left the College Park campus to pursue a career in marketing and corporate gift giving, but just over two years ago, she returned to use those skills to help transform the lives of other students. 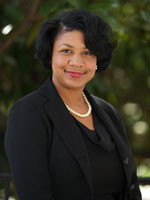 As a college with a reputation for excellence in academics and research, Moore, in her current role of Assistant Director, University of Maryland Division of Student Affairs Office of Development and External Relations, is also cognizant that her department helps spearhead the goals of excellence in serving the community. That objective was clearly on display at this year’s Maryland Student Affairs Conference, which is designed as an opportunity for student affairs professionals to gather and learn, and share ideas across a variety of topics. “Especially when what we’re hearing in our nation and across the globe is being directed at our differences, the theme of the conference was an attempt to reinforce the theme of being there for each other, and how we can work together and help each other to achieve our shared goals — and celebrate our accomplishments,” she says. With its proximity to the nation’s capital, the College Park campus is rated as one of the top institutions for veterans, and contributing to that support is the Book Center’s partnership with Veterans Affairs offices in Washington, D.C. and Baltimore. The rapport between the two entities ensures everything is set up for those non-traditional students, who are also helped by a scholarship program for needs-based veterans. “It’s such a tight-knit community, and because you build that rapport, and have recognized them as individuals, these students return to the campus and bring in their families and other vets,” Haley explains. Even as she acknowledges the campus’ total unmet needs shortfall of nearly $60 million for Maryland’s students for the 2015-16 academic year, Moore agrees that there is a greater value to partnership than just its financial aspects. “Our partners have such an incredible impact on what we’re able to achieve here,” she says, “and partnership can take many forms.” Moore lists outreach programs ranging from volunteerism to helping critique resumes and coaching career preparedness as just some of the many opportunities where her campus partners can be involved and make a positive impact. She points out that the Book Center itself welcomes new students coming to campus with in-store VIP events during Fall Welcome Weekends in partnership with the Resident Life team, supports Parent and Family Affairs during Family Weekend by donating items for a silent auction towards the Student Scholarship Fund, and strengthens Fraternity and Sorority Life outreach by sharing preferred pricing for merchandise for their events.